The art of N. Bondareva does not repeat, does not copy reality, but contains her knowledge. Masterfully working with composition and content, the author convincingly creates a story, refracts it in an emotional, lively embodiment through a limited color range of three to five colors. The logic of movement from the natural impression to the consistent embodiment of the image on the canvas gives a sensual musicality that came out from under the hand of the artist. An attentive viewer will certainly mark the connection of each movement of the master when creating a picture, sketch, sketch. Hope confidently works with angles, sharp compositional moves, always chooses a limited color range, which allows us, the audience, to feel the mood more accurately. The first stages when working with color is a pictorial letter without white, which helps preserve the sound of color until the very end. Several times I managed to observe how the artist works in the studio - this is an incredible expression, the most careful study of nature, speed and steadfastness in reproducing what they saw. Consistency is a strong point of the author, embodying the impressions fresh and emotionally. N. Bondareva, above all, works with the form, shows the mastery of drawing, the presence of a vocational school in the background. In the works of Hope there seems to be a connection between colors and the height of musical sounds and / or tonalities. The artist seems to be endowed with a synesthetic color ear, sensitivity to the surrounding world. The heroes of the paintings by N. Bondareva are impressions consonant with the stories in which the author turned out to be. These are etudes from travels, native people, friends, “living” subjects. In the choice of scenes for paintings, we see a real artist. In the works “Cloud”, “Memory” we are attracted by a non-standard solution of the topic; in Serbian and St. Petersburg etudes - immersive mood. The portrait is one of N. Bondareva’s favorite genres; it is through the face, the figure, the author shows the world of each hero, maintaining the impression with perspective, color and entourage. 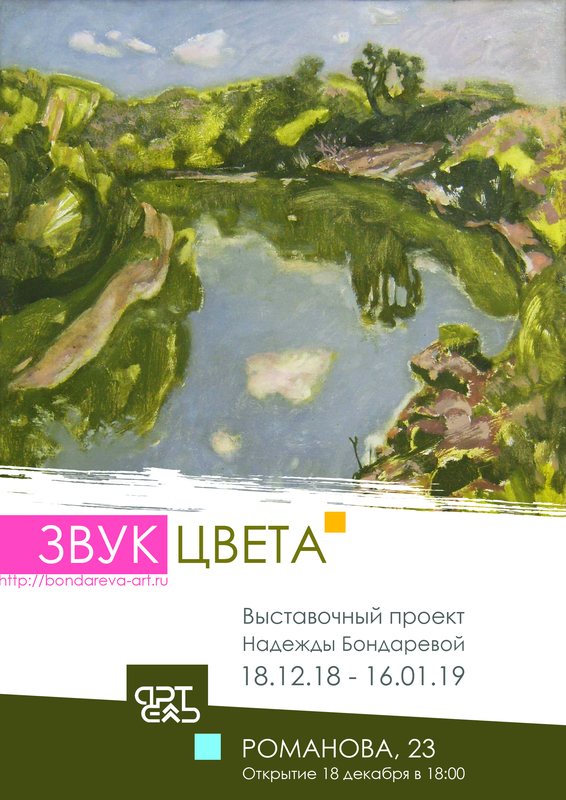 Nadezhda Bondareva is a great, thinking and truly lively teacher, who really cares about the personal reasoning of student-students in their paintings and compositions. Being a teacher at the Novosibirsk State Art College from 2008 to 2016, Nadezhda Bondareva tought dozens of strong, dissimilar students, many of whom continue their creative path with confidence today.